1.8″NPT Male x 1/8″ NPT Female. Threads directly onto our grease fitting relocation hoses. “Zero Clearance” design reduces the diameter to prevent interference when grease ports have limited clearance. 1/8″NPT female x 1/8″NPT male. Typical elbows have a male and female leg that extends some distance from the center of the elbow. This elbow does not have an extended female leg. 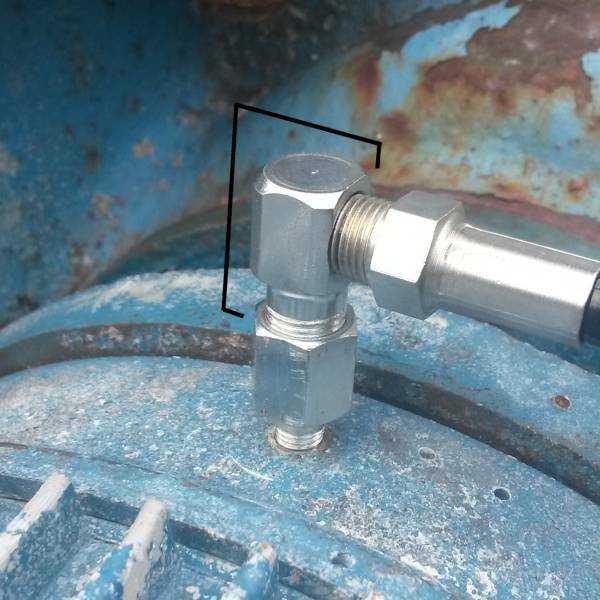 This reduces the fitting diameter to only 9/16″ allowing it to be threaded into grease ports with limited clearance. The 1/8″ female end screws onto our grease fitting relocation hoses. 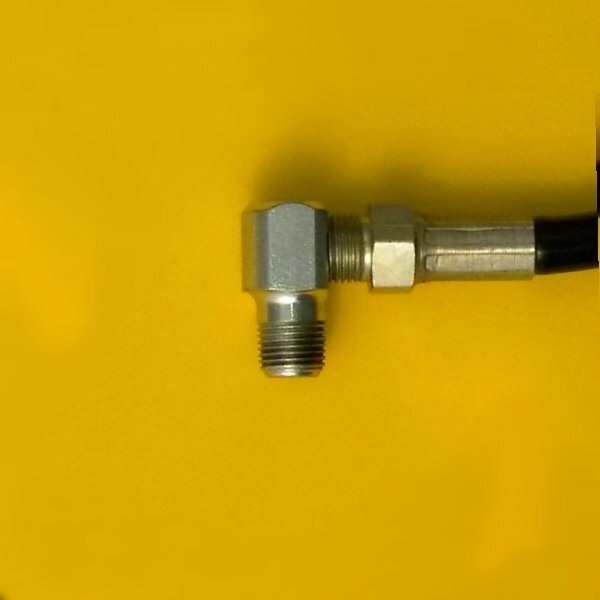 This zero clearance grease fitting elbow allows you to direct hose toward a specific routing path and solves problems with limited head space above the grease port. 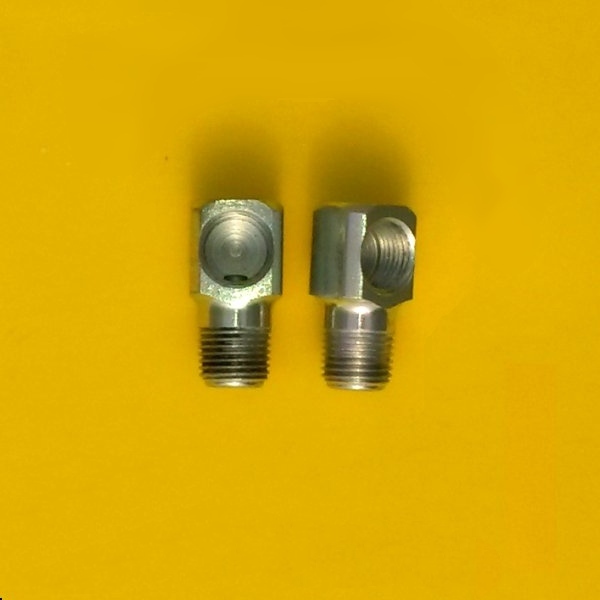 1/8″NPT male end will fit many grease ports as-is. Other grease port threads will require a thread adapter. Turning Diameter: Requires clearance diameter of 0.6″ to rotate fitting into grease port thread.